We at GREedge totally understand the fact that you are new to SOP writing, and want to know everything about it. In this article, we have tried to cover the basics of SOP writing, it’s importance, points to consider while writing an SOP, guidelines to follow while framing your SOP and detailed samples with explanations. This article will help you understand how a Statement of Purpose should be written, in a way that impresses the admissions committee. What is a Statement of Purpose (SOP)? A Statement of Purpose (SOP) is usually an essay that ranges between 500-1500 words in length (though it is advisable not to exceed 1.5 pages), that gives your desired university a brief idea about your academic & professional career trajectory till date, your motivation behind pursuing that very stream, your future goals after the completion of your course and so on. A well-written statement of purpose can often go a long way in boosting your chances of bagging your dream MS admits. To sum it up, it is the only document through which you can let the universities know about the things that set you apart from the rest, the factors that make your profile, a unique one! Just how important is your Statement of Purpose (SOP)? As mentioned earlier, your statement of purpose serves as one of the prime factors that lets you gain acceptance to your desired grad school. A student’s Statement of Purpose holds the same importance as LORs, GRE/TOEFL/IELTS test scores, and transcripts in the selection process. This document acts like your mirror image and lets the university understand your strengths, weakness, achievements and other information about you. Before you start writing your Statement of Purpose (SOP), consider the following pointers so that your SOP leaves a great impression on the admissions committee. They are there to hear, know and analyse you in every aspect to consider you as a part of their university. Will you be an Asset to the University? Every university looks forward to accepting those candidates who have the potential to make the best of the education they receive and make valuable contributions to the industry or to research and academia. This is only logical, as a highly accomplished alumni body helps universities augment their reputation and standing. Let them know how valuable you are by pointing out your urge to learn, your ability to quickly adapt to changing circumstances, demonstrating a positive attitude towards taking up new challenges and other qualities you possess that you feel, make you a great fit for their student body. “Be Yourself!” – this is a quote that we are all familiar with. However, it assumes a special significance when it comes to SOP writing. Show the universities what mettle you are made of, and by this, we mean that you should not only enlist all the enviable qualities and strengths that you possess but also own up to your weaknesses, and how you’ve worked to overcome them. Don’t forget to add any other pertinent information that you feel can help you get admitted to the program that you have opted for. Self-praising is great, but overdoing it, will create a negative impression on the experienced admissions officers, who review thousands of SOPs every year. You cannot achieve your goals without failures. Mentioning your past failures along with a proper explanation of how these downfalls added to your knowledge and problem-solving skills will make your SOP stand out. Explain how these negative experiences illuminated the path to your success and stability. However, don’t just list your failures in any abrupt order without listing your learnings from them, as maintaining a proper balance is the key in powerful Statement of Purpose writing. The competition for getting accepted to the top international universities is extremely high. To get an edge over your competitors, you need to ensure that your statement of purpose is distinctive. Write your SOP in a way that engages the admission committee, and compels them to read on. Your SOP should sound more like a verbal conversation rather than just listing your information. Explain how you faced challenges and tackled them. Let them know about your backlogs, if you had any, and mention why that happened. If you’ve faced some unwanted or unforeseen circumstances that have changed the course of your life, feel free to talk about them and how they helped you emerge as a stronger person. Be precise, concise and honest with the information that you present in your Statement of Purpose. If you have applied for MS in CS (Computer Science) then simply stating, “I am interested in pursuing my master’s in CS from your university” would be an unimpressive statement. Instead, you must explain or make a specific reference to what exactly you want to study and why. What is a perfect Statement of Purpose (SOP) format? A 1 – 1.5 page Statement of Purpose is most preferable, but content exceeding 2 pages should strictly be avoided. Overtly lengthy or verbose content usually drives away the attention of the reader. The font size that is considered ideal is 12 pt. Keeping 1-inch margins at all sides of the page gives your SOP a neat look, enhancing its visual appeal. We always overlook documents that have long paragraphs and lengthy sentences. Nobody would ever like to read such documents unless it’s a thesis paper we’re talking about. While writing an SOP, make sure each paragraph’s length does not exceed 10 lines and avoid using long sentences. First Paragraph: Introduce yourself by providing a brief background of your life so far, followed by your immediate career objective(s). Second Paragraph: Explain what inspired you to take interest in the program and that specific field of study. Specify your favourite subjects and which authors’ books you liked the most and why. You must also mention the relevant academic projects you’ve completed and what you’ve taken way from the same. Third Paragraph: Provide a brief information about your work experience, and any internships or certifications that you’ve completed, if applicable. Fourth Paragraph: Briefly describe some other experiences that helped you to make up your mind to pursue graduate studies in your that particular area. Do maintain a positive tone throughout your SOP. Do start with an amazing introductory paragraph. The 1st impression is always the best impression, and the same applies to your SOP too! Do mention that particular university’s unique features that attracted you the most. Be precise and to the point. Elaborate phrases and fancy words are not a part of strong SOP writing. Review your draft at least 3 times to check for any spelling, punctuation or grammatical errors that might have crept in. Get it reviewed by your faculty members and fellow peers and ask them if they feel that it is an accurate representation of who you are as a person. Don’t complain about events and experiences that you’ve had in the past. Instead, tell them how you managed to tackle those situations. Don’t get emotional and sloppy. Don’t wax eloquent about the nightlife or tourist attractions of the city in which the university is based. You will be going there for higher education and not as a tourist. Don’t include words like “nervous breakdown”, “depression” and other controversial topics. Don’t spend too much time in writing about your future goals and aspirations; talk about your past experiences too. What is special, distinctive and unique about you? What personal details might make the admissions committee better understand you and make your SOP unique? Who has influenced you greatly? How are you pursuing your interests? Why should your desired university choose you? What are the future opportunities in your dream university? What is the best thing that you like about your university? What is the most appealing aspect about the program that you’ve applied to? Below, you will find a detailed explanation, paragraph-wise, which will give you a more refined idea about what a perfect SOP looks like, matching the guidelines discussed above. According to the guidelines discussed above, the introductory paragraph should be as actionable as possible, so that the reader takes interest and keeps on reading. Here, the student’s academic background has been mentioned, along with the field he has specialised in. As this candidate was opting for a program which is related to automobiles, he has done the right thing by informing the admissions committee of his emphasis on Automobile engineering. He has also demonstrated his urge of learning new things, portraying that he is a good learner who is keen to pursue higher studies in his field of interest. The paragraph has been ended effectively with the student’s immediate career objective. As stated in the guidelines for the 2nd paragraph, it has covered everything that is related to his interest in the field. Mentioning your favourite subjects gives your chances of acceptance a boost and shows that the candidate has dug deep in his field. The paragraph is drawn to a close by the student listing some of his specific interests. This paragraph clearly shows the internships that the candidate has pursued during his summer breaks. The candidate has described the roles that he has played and the various tasks that he carried out during his internship. He also talks about the way this internship has helped him learn about his field. Here he has mentioned a key factor on how he overcame a problem that he faced while writing a paper on Bio-Diesel. This creates a good impression on the admissions committee, convincing them about the problem-solving skills of the candidate. Mentioning what you learned from the experience is non-negotiable. As discussed earlier, he has concluded his SOP in the proper fashion, mentioning a future goal which is relevant to the program he is opting for. Writing an SOP in the past was an easy task. However, owing to the rapid increase in the number of applicants each year, the selection process at top universities around the world has become a lot more stringent. Owing to this, framing and drafting a compelling, comprehensive, yet concise SOP has assumed a much bigger role than it played earlier, making it one of the most important factors that can help in determining your chances of acceptance. We hope this article has been of assistance. 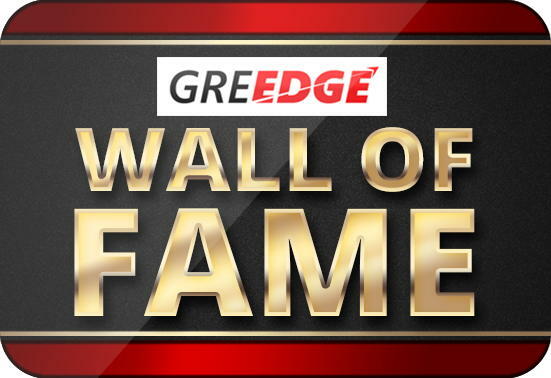 We at GREedge wish you all the very best for your future endeavours! If you have any further queries regarding writing the perfect SOP that wins you your dream admits, do let us know in the comments section below, and we’ll get back to you at the earliest!